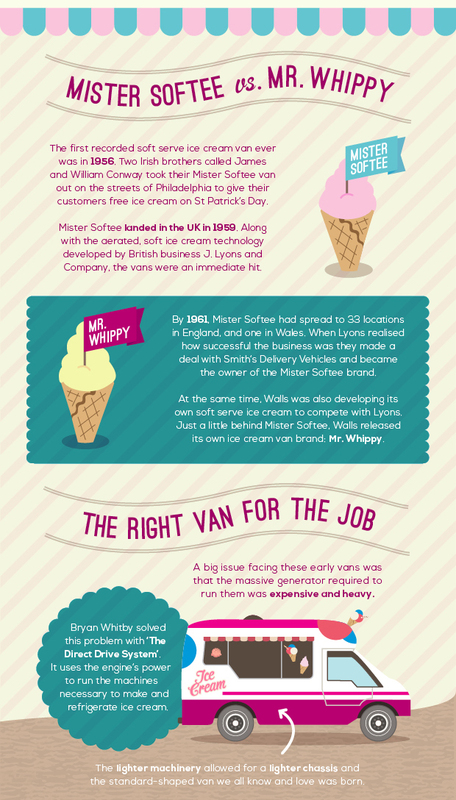 British summertime is known for pebbly beaches, rare heat waves, rainy bank holidays and my favourite: Whippy ice cream! 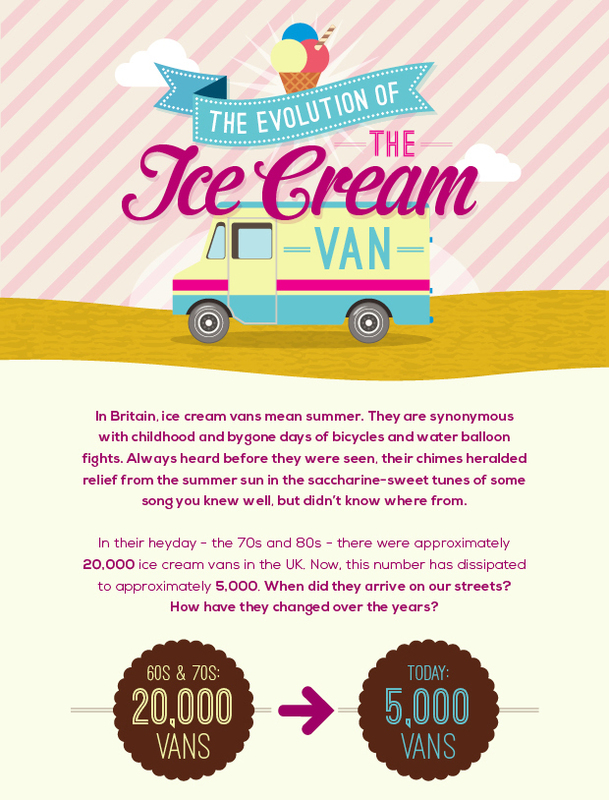 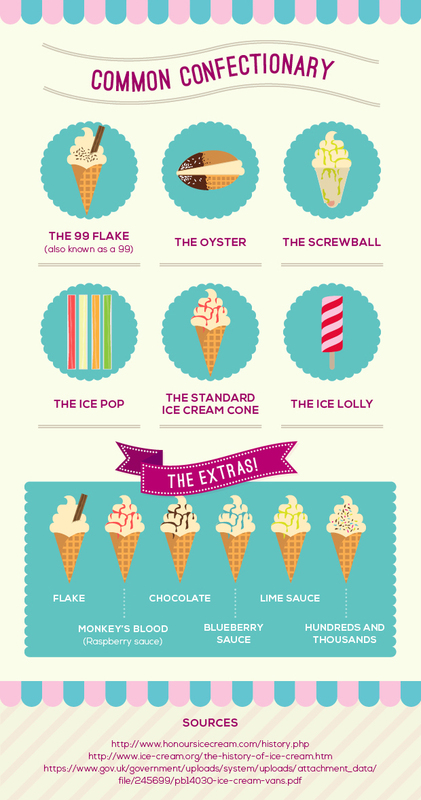 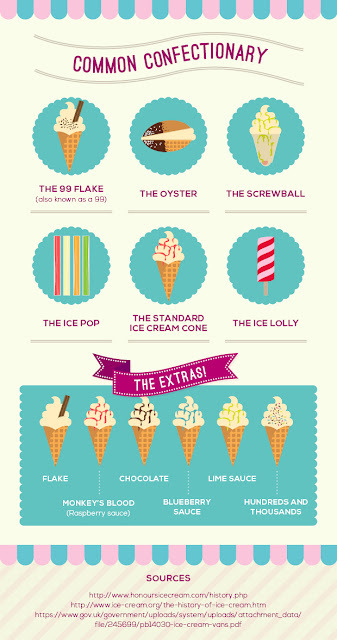 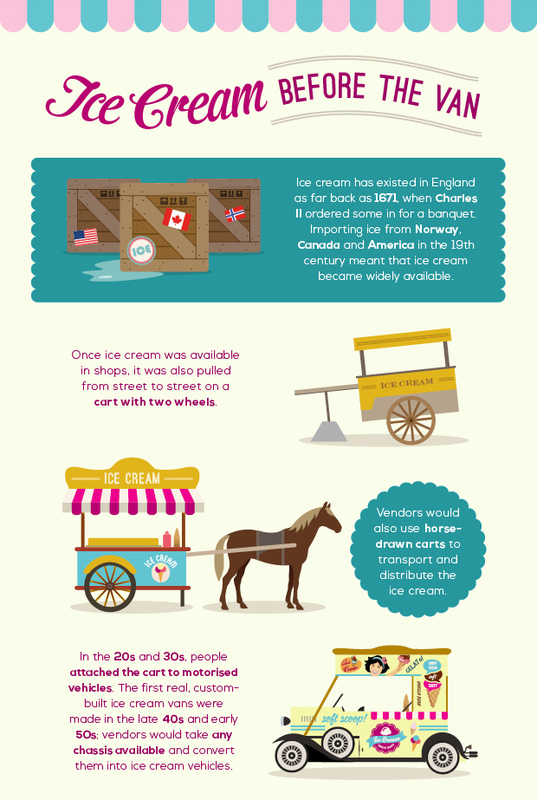 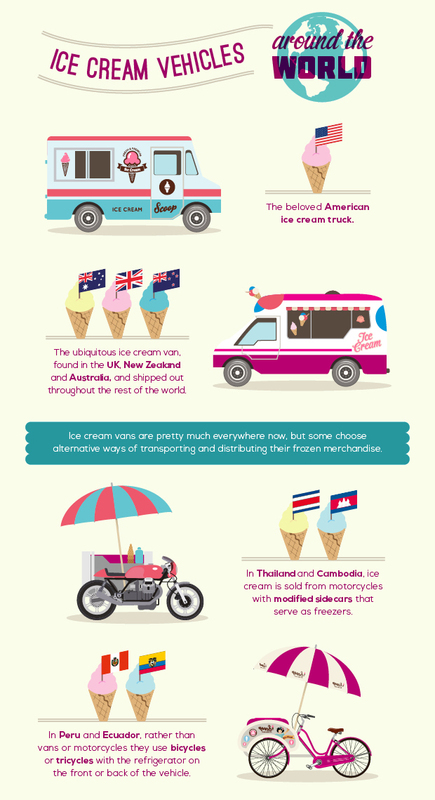 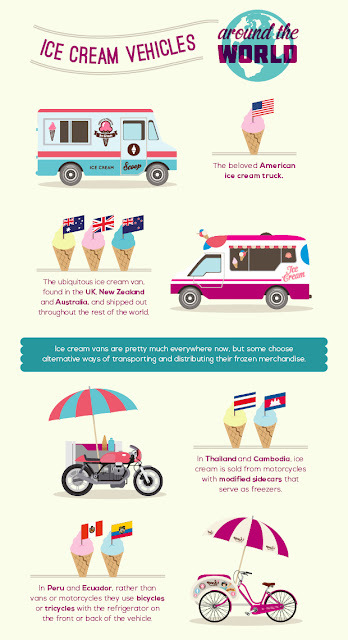 I was sent this very random, but interesting graphic about how our classic ice cream vans came about by Van Monster and thought I would share for any of you fellow British ice cream lovers! 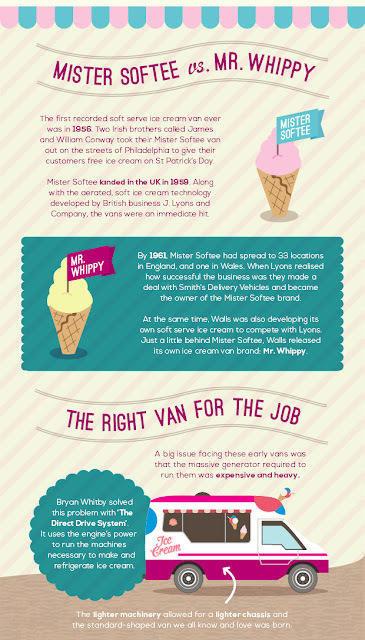 Click on each picture to enlarge, happy reading!